Burr Grinder - Utopian Coffee Co. 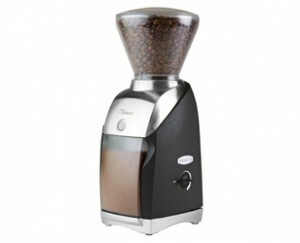 The best way to improve your coffee experience at home other than using fresh roasted coffee and proper water to coffee ratios is to use a quality burr grinder. If you are are not already using a burr grinder, hopefully I can win you over! Coffee loses most of it’s aromatics within 10 minutes of being ground. By the time you brew pre-ground coffee, most of the olfactory components have escaped and the result is a flat, but still fairly decent, brew. If you’re like me, you have decided you need something to simply chop up the beans. Easy enough, right? Once I was told that my coffee would taste much better if I ground it fresh, so I did what anyone would do and immediately got one of the $15 Mr. Coffee blade grinders. The problem with this, as I later found out, is that the blade grinders will “chop” beans into extremely inconsistent particles. This in turn results in inconsistent extraction (*see more detailed (“coffee nerd”) section below, as well as the Brewing Ratio blog for further explanation). As a new customer to Utopian Coffee, I was still just discovering how to brew great coffee. Thankfully the Utopian crew was able to help me get a quality burr grinder, which is when my coffee experience completely changed. I was brewing with fresh roasted coffee, using a proper water to coffee ratio and finally had a serious burr grinder. Could one piece of equipment actually make that big of a difference? At the time I was a total novice in the new world of gourmet coffee and even I could tell a very significant difference in the way my coffee tasted! There was so much more aroma as it was brewing and the flavor in the cup was just outstanding! 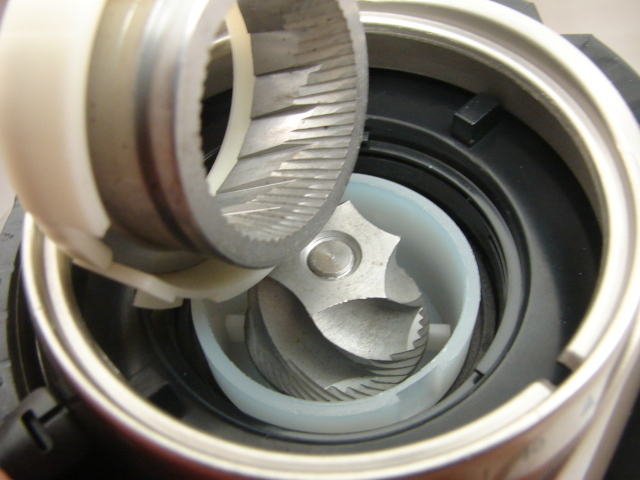 The difference between the burr and blade grinders is that the burr grinders crunch the beans which results in very even, consistent particle size as opposed to chopping it into random, inconsistent bits like the blade grinders do. Blade grinders also operate at high speeds which can transfer heat into the grounds, resulting in additional decrease in quality due to the degradation of the coffee before water even touches it. Our personal recommendation if you are interested in getting a burr grinder for your home or office is Baratza. They make absolutely fantastic burr grinders and I have been using one for more than two years at my home and we’ve been selling them to our customers and they couldn’t be any more pleased. Baratza has a variety of models and we sell some through our site, but please don’t hesitate to reach out to us with questions or to request help in getting a certain Baratza model. As a disclaimer, we do not get paid or receive any benefit from promoting them. We just think that they are a stellar product, we use them at home, and want you to know. *We grind coffee to expose surface area so that the soluble solids can be extracted. Basically we grind it to get the tasty flavor out of the coffee. By having different sized particles what happens is that when the water comes into contact with the grounds it is not able to efficiently extract the flavor since there are a variety of particle sizes.